Welcome on Nelix dev, we develop applications for iPhone, iPod Touch and Ipad. AT&T starts selling the Apple iphone in june 2007. AT&T is the largest provider of mobile telephony service in the United States, providing mobile phone services to almost 100 million customers in the US. AT&T uses the GSM technology, as many carriers around the world such as Orange, T-Mobile, Vodafone, China Mobile, SingTel, Telefonica, O2, ... GSM Global System for Mobile Communications (80–85 % market share) is a 2G mobile technology for both voice and data (GPRS). 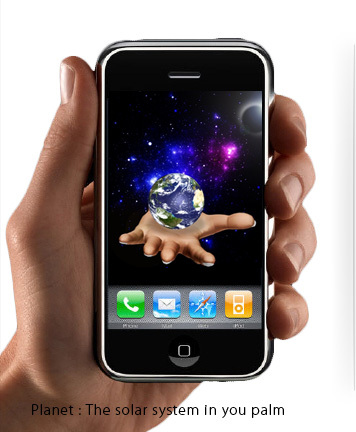 The 3G technology knows as UMTS Universal Mobile Telecommunications System allows faster data transmission. UMTS has evolve to HSDPA and HSUPA allowing up to 7 megabits per second. UMTS and GSM technologies allow Voice an Data at the same Time, which CDMA does not allow. Sprint Nextel Corporation operates Sprint, the third largest wireless telecommunications network in the United States, with 52 million customers. Sprint is a global Internet carrier. The company operates using two separate wireless network technologies, CDMA and iDEN. Sprint Nextel launched its first WiMAX wireless card on December 21, 2008. Sprint is also selling the Iphone in the US, starting from October 14, 2011.